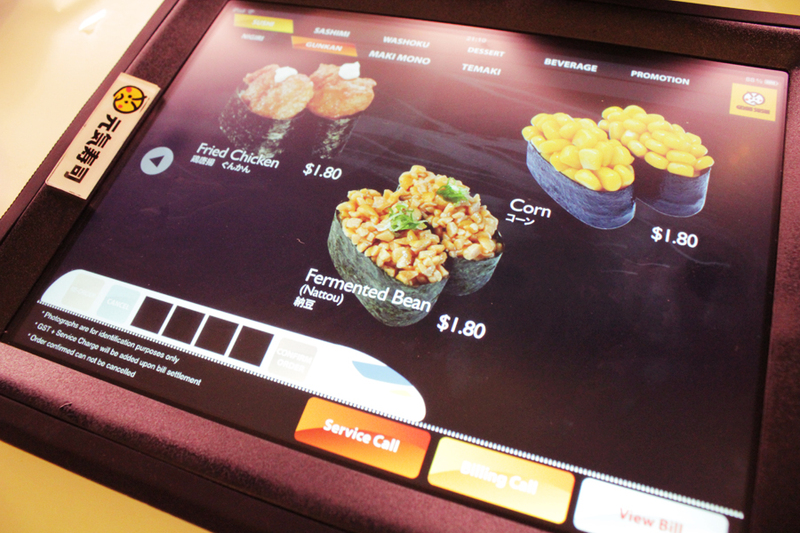 Talking about technology, Genki Sushi has one of the most innovative ordering methods. Each table is equipped with one iPad preloaded with their very own application, which you order your food directly from the device. Your dishes will be delivered promptly right to you in a mini shinkansen (bullet train) on it's "railway track". After unloading your food, one then pressed a button to send the carrier back to the kitchen. How cool is that, I have to admit that I was pretty amused and mesmerized by the cute trains. Don't know how to use their "GenkiPad"? Do not hesitate to approach one of their staff. 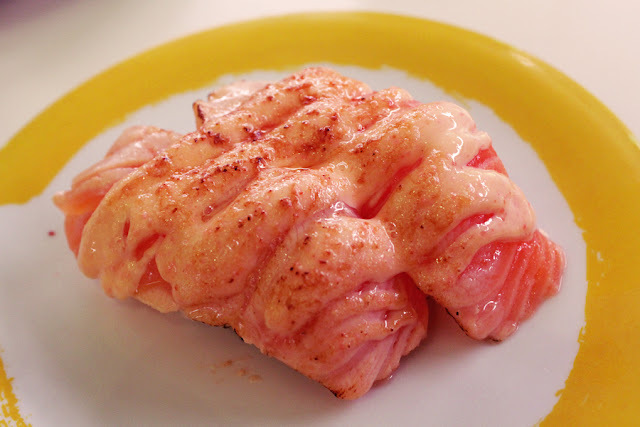 One of the must orders are the Salmon Triple Flavor (S$3.80) and Shrimp Triple Flavor (S$3.80), which consists of the key ingredients done in different ways. 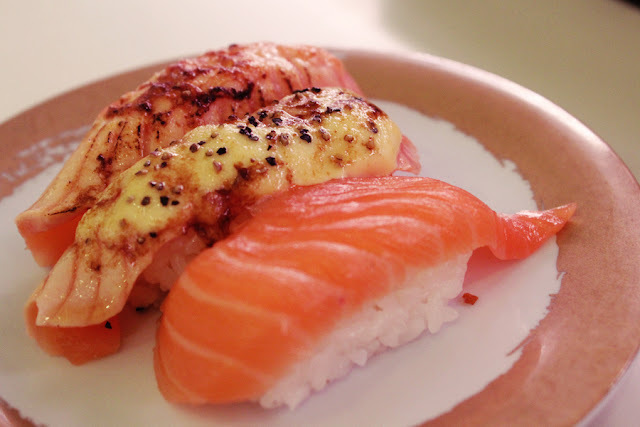 My favourite among the three is the ones which are seared briefly and topped with black pepper, which adds an additional kick to the sushi. 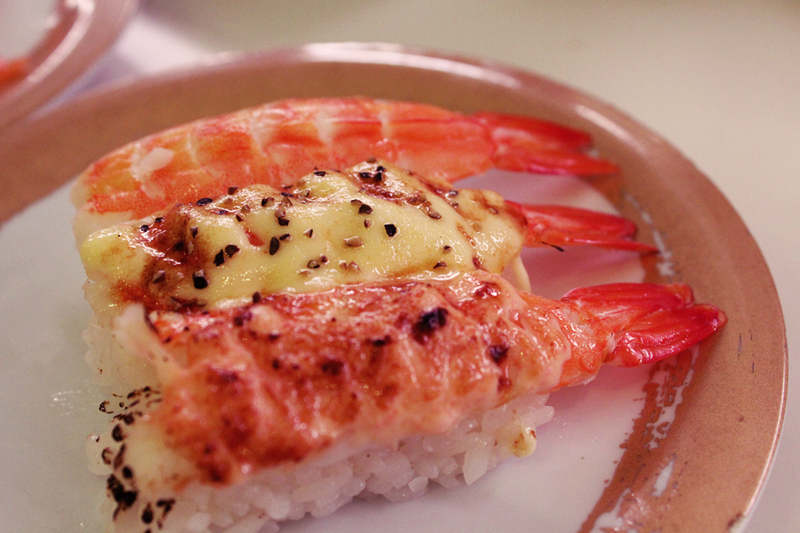 There is also a similar version for the crab as well (S$3.80). Seared Salmon with Pollack Roe (S$2.30) is nicely seared with a faint burnt fragrance, but Peiyi was complaining about the lack of roes (or it's either the roes got melted when it was seared.) The salmon meat is soft and melts slightly in your mouth. 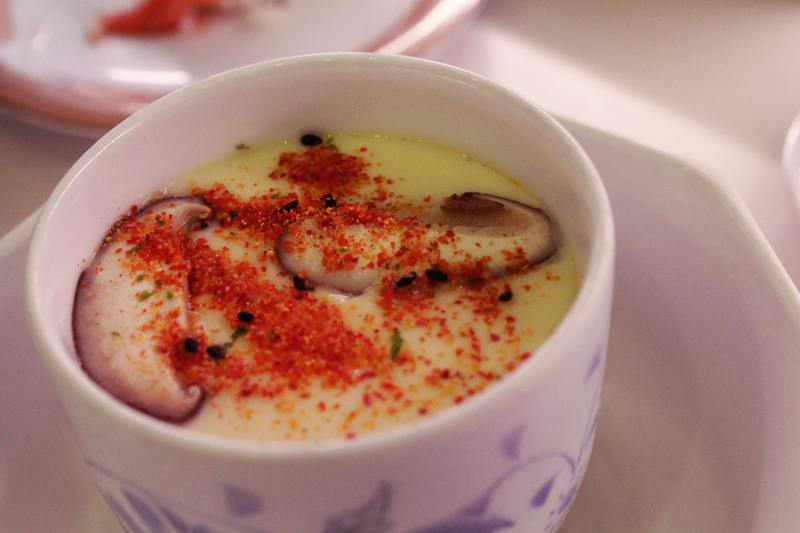 Their Steamed Egg Custard (S$2.30) is soft and silky, and packed with a reasonable amount of fish cakes, mushrooms and crab sticks. The downside is that the steamed egg lacks in flavour, it doesn't have the distinct eggy flavour. Japanese Chilli Pepper to the rescue! 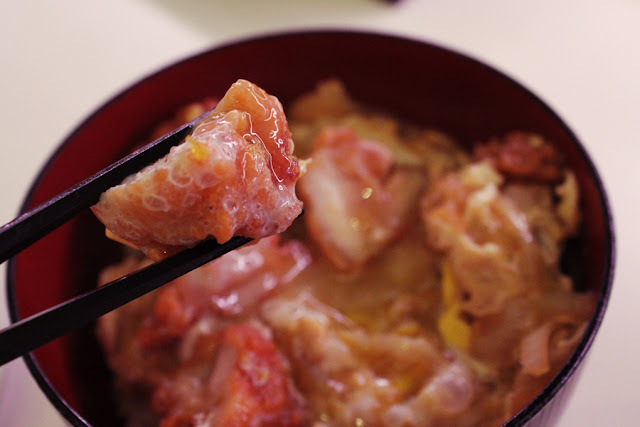 Feeling a need to eat something more, we ordered the Oyaku Don (S$5.80) - deep fried chicken chunks with a nice layer of fat in thin batter, paired with strips of sweet onion and runny omelette, and served along with a good bowl of Koshihikari rice, planted by the Japanese in Vietnam. I could really do with more eggs though. 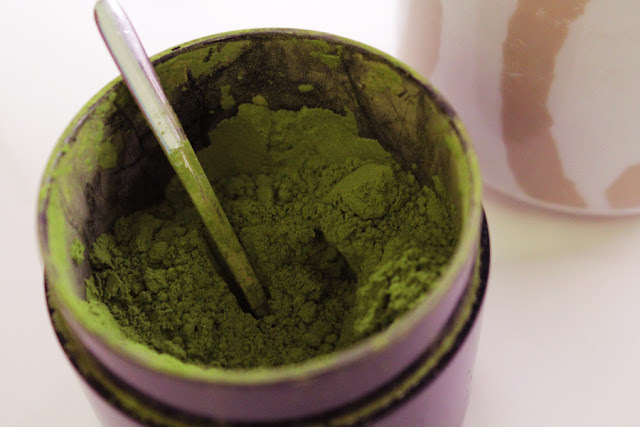 One of my favourite is their free-flow of Japanese Green Tea (S$1.50), which you do-it-yourself, by mixing the green tea powder with hot water. Needless to say, you can adjust how strong is your cup of tea according to your preference. Genki Sushi adds on to my list of favourites, and I'll definitely be back for more economical, yet authentic and quality Japanese food. Just a conclusion tip - be there early or skip the peak hours. We were there at about 8.45pm on a Saturday, and we had to wait for approximately 20 - 30 minutes.